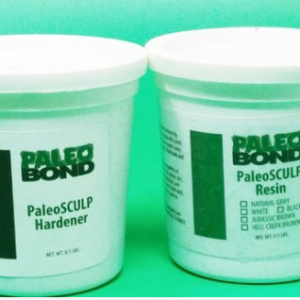 PaleoPoxy is a kneadable, non-shrinking epoxy putty. When fully cured, it becomes an integral part of the item being repaired, rebuilt or restored. 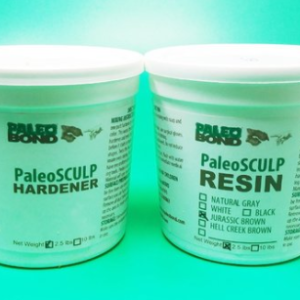 Just one hour after mixing, PaleoPoxy can be drilled, sawed, sanded, filed or painted. PaleoPoxy comes in a handy two ounce “Tootsie-Roll” form with the curing agent encapsulated in the contrasting color base material. 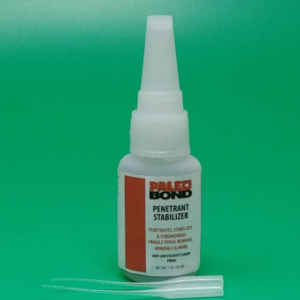 The putty-like consistency eliminates drips and runs, providing “no mess” applications and it’s use requires no tools. PaleoPoxy before painting is recommended. 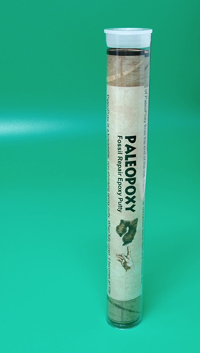 The unused portion of PaleoPoxy will remain stable for years if stored in the original container in a cool, dry environment. Peel back plastic wrap and cut small piece of PaleoPoxy from the end of the roll. PaleoPoxy sets quickly, so use in small amounts to avoid waste. 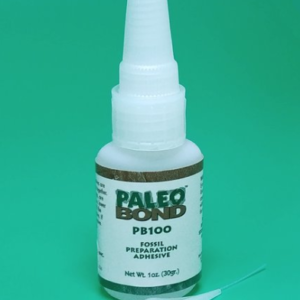 To insure optimum adhesion, make sure the surface of your specimen is clean. You can also slightly scuff or sand the area where you are bonding if necessary. Twist or cut off the required amount of material. Knead until you reach a uniform color. PaleoPoxy is easier to mix when at or above room temperature. Apply to the surface being repaired within 10-15 minutes of mixing. Push into any cracks or crevasses being filled and remove any excess material. This can be done with a tool dipped in clean water. You can also hand rub the epoxy with water or a damp cloth for a smoother appearance prior to hardening. If applying to a damp or wet area, work the material into the surface and apply pressure until adhesion takes effect. After 15-20 minutes the epoxy will begin to form a tenacious bond. Remove any excess material before hardening takes place. Full cure occurs in just 60 minutes. Kit includes: One 2 oz tube of PB122 PaleoPoxy. Color is TAN.